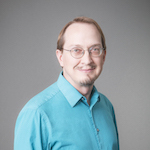 Todd Brun received his Ph.D. in Physics from Caltech in 1994. Since then, he has worked at the University of London, the Institute for Theoretical Physics in Santa Barbara, Carnegie Mellon University, and the Institute for Advanced Study in Princeton. He joined the faculty of USC in 2003. Brun works in the areas of quantum computation and quantum information theory. He is especially interested in quantum open systems, decoherence, and the effects of environmental noise on quantum information processing and quantum error correction. He has done recent work on fault-tolerant quantum computation, entanglement-assisted quantum error-correcting codes, quantum walks, continuous measurements and quantum control, orbital angular momentum of photons, weak measurements, quantum mechanics with closed timelike curves, and the arrow of time.